The 18th film in Marvel’s cinematic universe is director Ryan Coogler’s 3rd big screen film. The other two films being Creed and Fruitvale Station; which is a very underrated but impactful film that ranks high on my personal list of favourite movies of all time. The film stars Chadwick Boseman as the Black Panther, the villain Eric Killmonger is played by Michael B Jordan. The film’s cast also includes Lupita Nyong’o (The Jungle Book) and Daniel Kaluuya (Get Out) as well as Martin Freeman (The Hobbit). 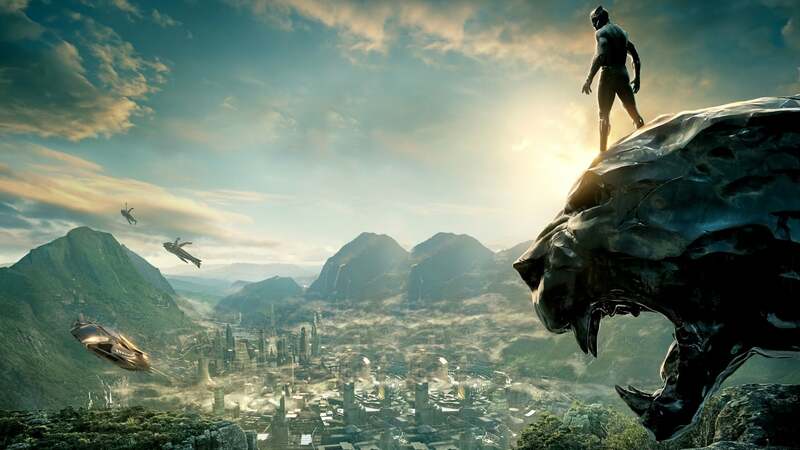 The film is about T’Challa played by Chadwick Boseman, the prince of Wakanda, a place hidden in Africa being the most technologically advanced place in the world. The film follows up from Captain America Civil War where T’Challa’s father was murdered. T’Challa is set to become the new king of the Wakanda. Traditionally in Wakanda, the king is gifted with a suit and powers that makes them become the Black Panther: the protector of Wakanda. Micheal B Jordan’s character- Killmonger is a lost son of Wakanda who never knew his homeland. As he was told beautiful stories of Wakanda, he goes to gain resources so he can get revenge on the world, because he is full of rage as a result of being abandoned as a child. The cast seems to have fantastic chemistry. When watching the film, you do not feel as though anyone is anyone’s sidekick as they seem to care and love one another, which makes them more relatable. Another success of the film is in the way they portray the funny and charming character that Letitia Wright plays as the panther’s gadget designer, who is also his younger sister. Black Panther is a colourful film, and some scenes look absolutely beautiful. Also, the filmmakers make the film not seem too much of a fantasy as they keep it grounded. Another positive of the film is how good the villain is, as many people feel as though Killmonger is not technically a villain as his ideology is relatable and makes sense but on the other hand, the way he goes about his business is evil. A final positive of the film is the soundtrack which was curated by Kendrick Lamar and the TDE record label. The soundtrack fits so well into the film and is more enjoyable to listen to once you have watched the film. The soundtrack includes features from Future, The Weeknd, Khalid, James Blake, Jorja Smith and many more artists. I highly recommend you watch this vibrant, colourful film as it always keeps you on the edge of your seat. You can watch the film at the comfortable and easily accessible Light Cinema in the Bolton town centre.